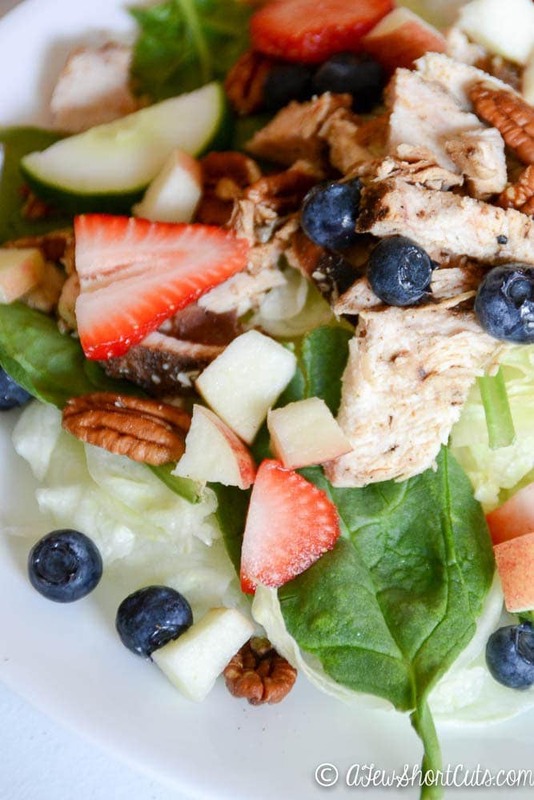 Do you love Chick-Fil-A’s Market Salad? 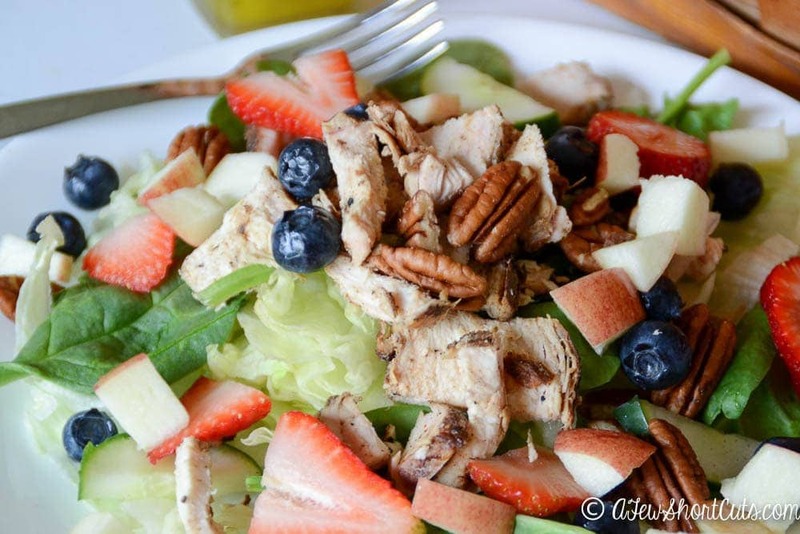 Try this Copy Cat Chick-Fil-A Market Salad at home! Less than 5 minutes to perfection! So simple! The first place my kids always want to eat when we go out is Chick-Fil-A®! I am pretty sure they could live on chicken nuggets, waffle fries, and lemonade if I let them. I usually get the Market Salad when we go minus the blue cheese. I don’t know why but I am just not a blue cheese fan. The other day I stopped in with the kids For me and 3 kids it was over $30! I am pretty sure I choked on my tea. Now, I love Chick-Fil-A® but do you know the number of groceries I can buy for $30?! We could have several pounds of chicken. LOL, I have really made a vow to make our beloved Chick-Fil-A® at home for a fraction of the price. 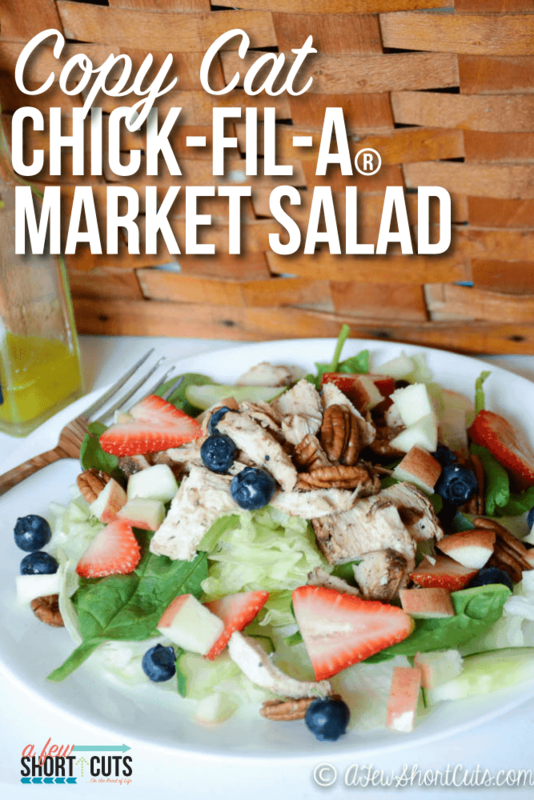 That starts with my Chick-Fil-A® Market Salad. I have been making them at home for about a week now. They are my lunch every day. They only take minutes and I am pretty much addicted to this simple salad that is full of flavor! I use my Homemade Apple Cider Vinaigrette Dressing too! SO SO YUMMY! This is enough for 1 large salad. Thanks so much for this Copycat Chick-fil-A Market Salad recipe. This is one of my personal favorites!